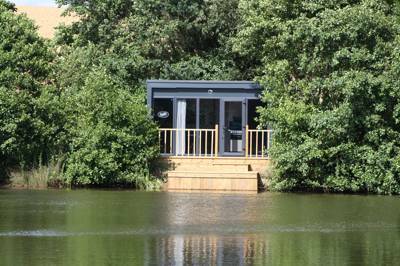 Your own lodge on a lake, with all the features hot tub and specimen carp fishing included. Set in 35 acres of lush Welsh countryside, Lodge on a Lake offer all you could possibly want to unwind in seclusion. Cardiff's town centre and Bay is located 6 miles away with extensive shops, restaurants and bars. Your own lodge on a lake, with stunning views and Hot tub! 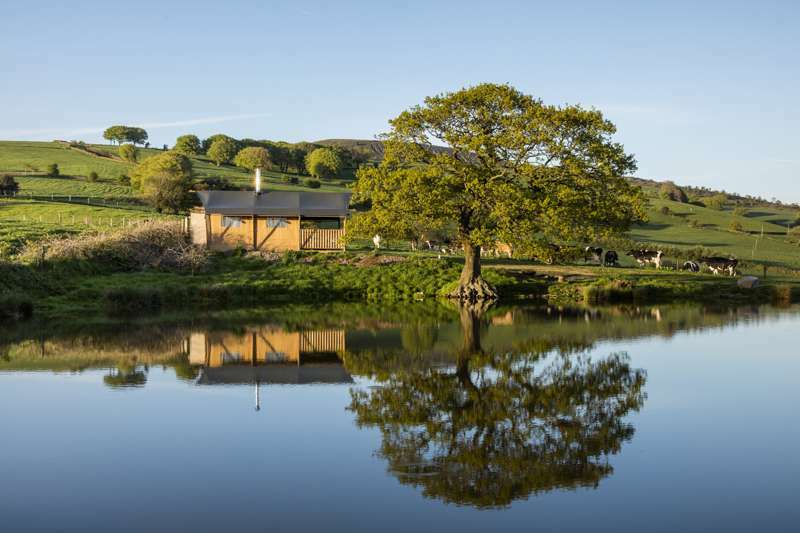 Set in 35 acres of lush Welsh countryside, Lodge on a Lake offer all you could possibly want to unwind in seclusion. Cardiff's town centre and Bay is located 6 miles away with extensive shops, restaurants and bars. Your own lodge on a lake with panoramic views, modern features, private hot tub and specimen carp fishing included...Set in 35 acres of lush Welsh countryside, Lodge on a Lake offers all you could possibly want to unwind in seclusion. Cardiff's town centre and Bay is located 6 miles away with extensive shops, restaurants and bars. Your own lodge on a lake with hot tub. Set in 35 acres of lush Welsh countryside, Lodge on a Lake offer all you could possibly want to unwind in seclusion. Cardiff's town centre and Bay is located 6 miles away with extensive shops, restaurants and bars. If thats too much then take in the country walks (and pubs) that rural Cefn Mably has to offer! Our uniqueness is our lodges are set right on the waters edge, each one different, perfectly blended into the stunning Welsh countryside, the cabins give a panoramic view and provide a fully made up double bed, bathroom that includes radiator, shower and toilet plus a fully fitted kitchen providing gas hob, grill, microwave and fridge. The icing on the cake though is your own private stunning cedar wood hot tubs!! The lakes were established in 1994 and as such we've built up and incredible reputation for the fishing. However, it doesn't stop there, we're very close to Cardiff city centre, the bay and Caerphilly for people looking to explore our great city. Plus with the location were in we have great walks, cycle paths and country pubs on our doorstep. There is also an award winning farm shop within 300 yards that can provide you with everything you need for a picnic/BBQ or breakfast! For latest availability and best prices for Lodge on a Lake, please use the Date Search above. 5 cabins each in its own location along the waters edge. 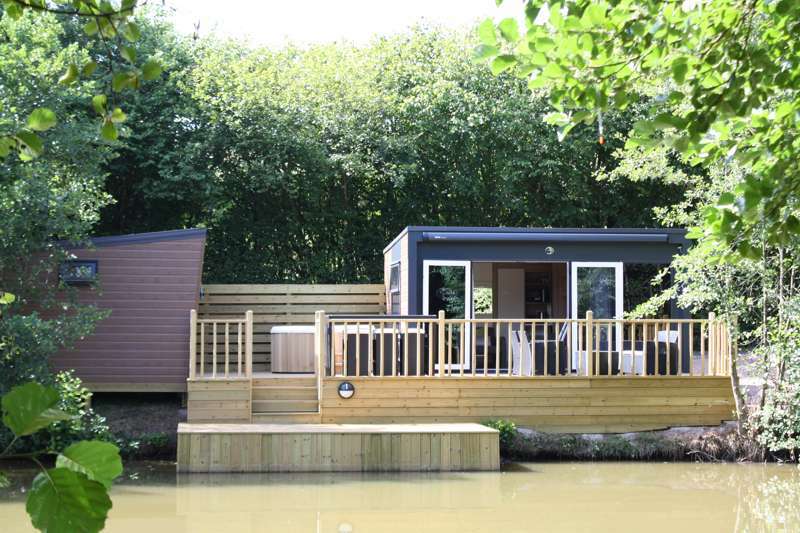 Cabins are en-suite (shower, toilet and radiator) and feature a kitchen area with a gas cooker, grill, microwave and fridge and a double bed that converts to a sofa in the day. All linen and towels provided. Each has a deck with a table and chairs plus its own private hot tub. Visitors have full access to 8 fishing lakes, with the stock including carp, bream, tench, barbel and roach and. The fish also attract plenty of birdlife – keep your eyes peeled for herons and kingfishers. Also super fast fibre broadband in each of the cabins which is free. If you visit the Moody Sow Farm Shop (01633 680034; see Food & Drink) you might as well explore the Cefn Mably Farm Park (01633 680312) while you’re there – the popular farm has plenty of animals to see. Golfers will love the Cardiff Golf Centre (029 2036 1122), 2 miles away, though The Celtic Manor course (01633 413000; 15-minute drive) is the most famous location nearby. It’s having the city on the doorstep, though, that makes Cefn Mably Lakes such a joy. For those coming out of town, the Lakes is an excellent country spot to kick back and retreat, while those heading into the city will find they’re just 15 minutes from the centre of the action, plus Cardiff Bay and Caerphilly Castle (029 2088 3143) are within very easy reach. Breakfast is available from the on-site café between 8am–10am, with coffees and snacks on sale all day. It’s ½ mile to the award winning Moody Sow Farm Shop (01633 680034), which is perfect for stocking up on BBQ meat or picnic grub. There’s also a good walk (around 1 mile) to the The Cefn Maby Arms pub (01633 680347). 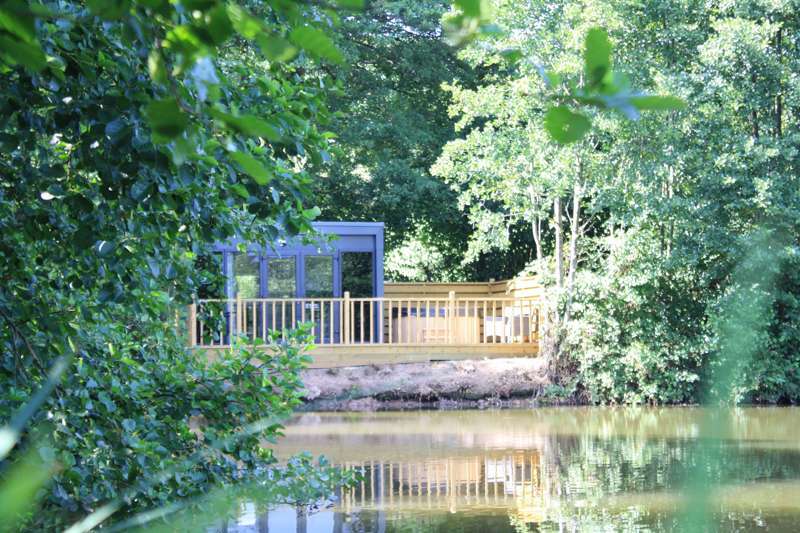 Cefn Mably Lakes is 5 minutes from junction 28 of the M4. Take the exit signposted Castleton (A48) and follow this road for about 3 miles. Once into Castleton, just past The Coach & Horses pub, there is a brown tourist sign to Cefn Mably Lakes. Follow this through the lanes and it will take you right to the site. Cardiff and Newport are the main train stations nearby. Cardiff has regular trains from across the country. Once there, catch the number 30 bus to Castleton, then either get a taxi, walk the remainder (2½ miles) or hide in the pub! 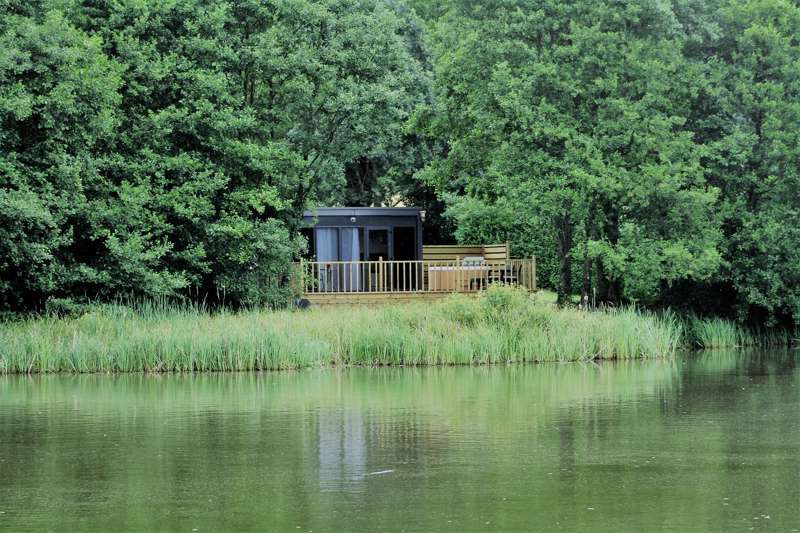 5 wooden cabin lodges all with super fast fibre broadband (each sleep 2, apart from 'Pochard', which sleeps 4).